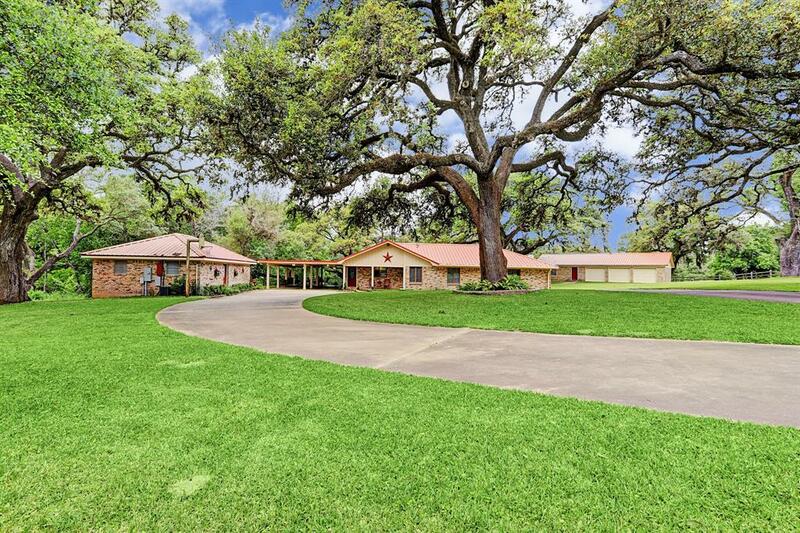 This lush and peaceful 4+-acre sanctuary is covered in large live oak trees with a sprinklered lawn. 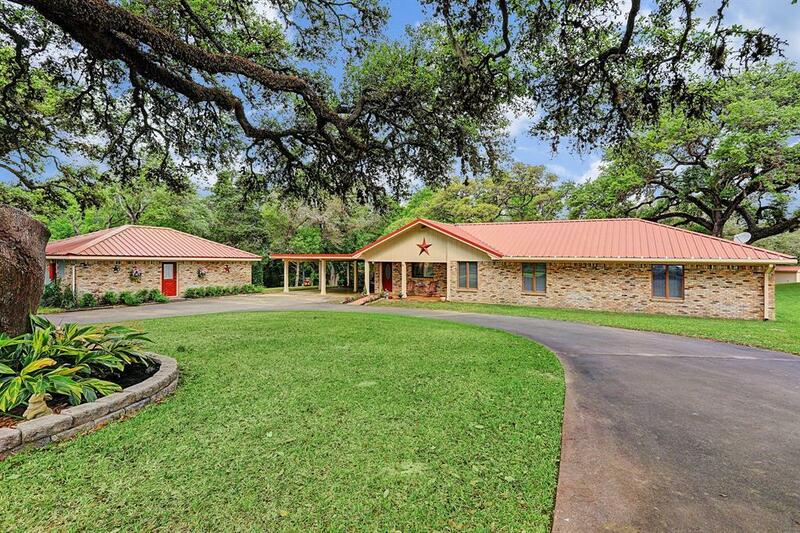 The beautiful road frontage is graced with a handsome split-rail fence where you enter to a paved circle driveway. 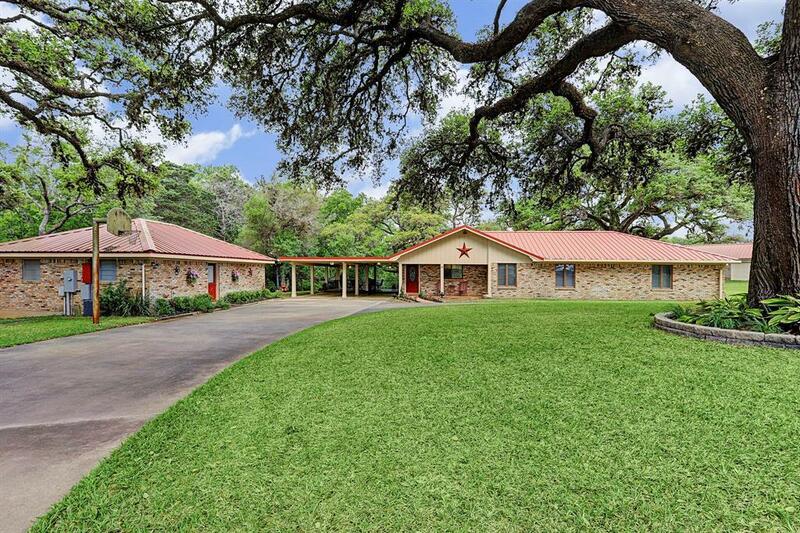 The drive leads to a sprawling 3B/2B ranch-style home with adjacent 2B/1B guest house fit for full-time living. The huge oaks are scattered throughout the manicured landscape providing ample shade all the way down to the wooded creek. The rear property boundary has approximately 1100 feet along Ratliff Creek which views and song birds are enjoyed from the covered back porch. 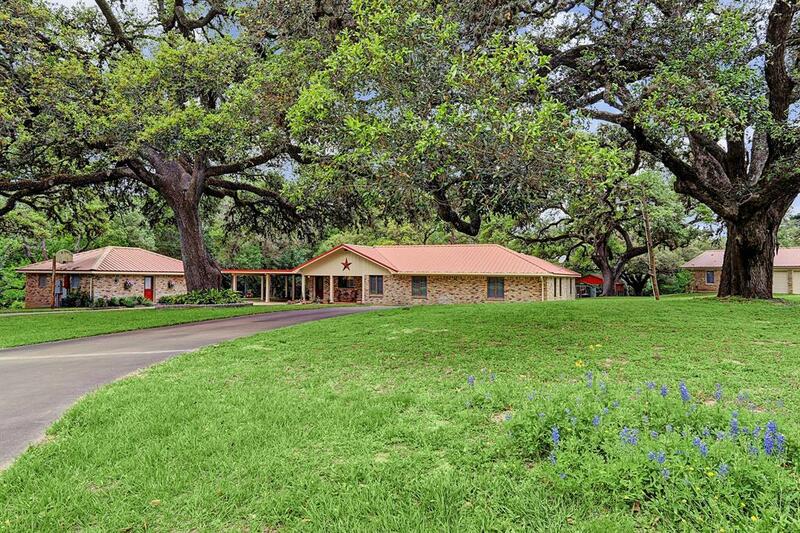 Loaded with many amenities, there is an enclosed Pool House with Full bath; detached 3-port Garage / Game room with bath complete with furnishings, pool and shuffleboard tables. Cool off or warm up in the heated indoor pool all year long. This wonderful property seems to have it all! About 1 mile to the high school this property has quick access to downtown or I-10.